Looking for a long term connection for RP. Forums » RP Classifieds » Looking for a long term connection for RP. I'm seeking for a partner to develop both my and his/her background story while adventuring and discovering the word of Tamriel with me by doing some quests, custom lore, gathering, housing and stuff alongside a romance with my partner (check the preferences at the bottom). My timezone is -3 GMT, and I can be online at night on workdays (from 8pm to 1 am max) and freely on weekends. Be sure you match my time zone, search on Google if you have any doubts. 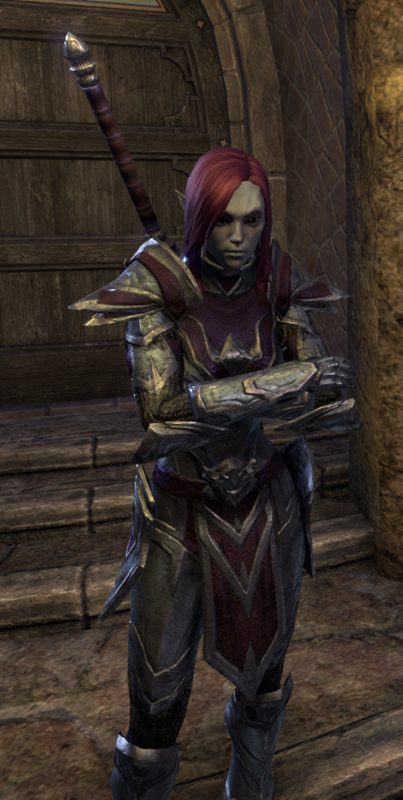 A young adult female dark elf called Steyr Harquebus is a tall lonely adventurer warrior chaotic good girl that adventures into the world of Tamriel seeking knowledge and power to defeat her foes. Physically the woman is very curvy with feminine aspects, her curvy face is young and no scars. The dark shade skin matches her dark silver eyes and makes her skin hidden into her black purple plate's amor. She is often with a two handed shield or dual wield weapon. Steyr is seen often serious, as focused and non emotional, she speaks as a serious person, even not being one. Rarely she is seen with a smile. As a good mer, she is always looking for knowledge, deadly weapons, and always trying to master her skills in combat. "War is peace... Freedom is slavery...Ignorance is strength..."
-At least 18+ years old. NOTE: I made the race change and that's the reason to update my post, I don't have a proper and defined background story yet for her, I'm still looking what to do of her, proably something similiar to the previous one. NOTE2: I am also interested in having a employee, slave or something with the requirements above! If you have any questions, or you want to start it up, contact with me here or discord (Hollana#8861) or in game (@Wirephifier). Just a update that I'm seeking someone really able to get in game that time (on my time zone), and I'm still looking for someone.